Nerds are seeking an outlet for their nerdiness, and find that outlet in rap. Rappers have a lot of nerdy interests, and begin to incorporate those interests in their music. Often they have a conversion story, a moment that they realized what they really wanted to do with their art. Cincinnati-based nerdcore rapper Juice Lee can pinpoint his conversion moment exactly, to a 2010 meeting with legendary nerdcore rapper Mega Ran. In Juice Lee’s debut album, Metanoia, you can hear Juice straining against the conventional topics of rap. From the opening track, “Deaf Ears,” he is hyper-aware of his difficulty in finding an audience, and in the ways he is violating the stereotypes of rap. Though it has traditional tracks like “Police State,” the stronger ones are those like “Metanoia,” calling himself to a more educated and intelligent rap. When I interviewed Juice recently, he described the experience of recording before his moment of nerdcore revelation, where the local rappers couldn’t understand what he was doing, but the nerdier sound engineer got it exactly. The entire album has a subtext of frustration. It’s hard to imagine how Juice could have continued. 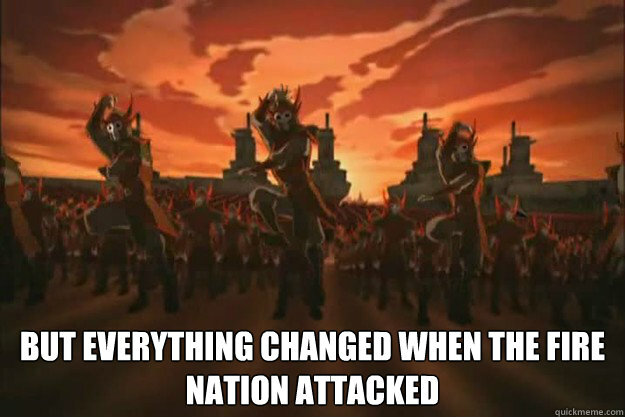 He either had to sell out his voice to an audience that wasn’t interested in it, or he would have to accept his music continuing to fall on “Deaf Ears.” All that changed (not when the Fire Nation attacked) when he was introduced to Mega Ran in 2010.Â Suddenly he learned that there was a name for what he did, and that there was already a nerdcore audience waiting for him. This revelation did not just change his artistic direction; it unleashed him. His next album, The Epic of John Fong, is a rap opera fan fiction of an obscure kung fu film — about as high-concept and nerdy an album as you could imagine. Juice Lee jumped into the deep end of nerdcore, embracing long-form storytelling and relishing geeky obsessions. With Mega Ran as a mentor, he was positioned to make a serious impact. Then, to hear Juice Lee tell it, he squandered his opportunity. He took relationships for granted, and didn’t hustle like nerdcore artists need to do to connect to their audience. His next albums, It’s Unclear at this Point and Double Dragon (withÂ I-EL) , never caught fire like he had hoped. Juice made a lot of music (that album is huge at 30 tracks), but he assumed that things would just fall into place, and that just didn’t happen. Here is where his love for retro-gaming didn’t just provide fodder for his music; it informs his career choices. Juice took inspiration from the story of Hironobu Sakaguchi, the creator of the Final Fantasy game franchise. According the the myth, Sakaguchi was frustrated with how things were going at Square, where he was the Director of Planning and Development, and he had decided to quit game development and go back to school — but he decided to create just one more game, (hence the “Final” in Final Fantasy). The game was a hit, and Sakaguchi’ went from being a failed game developer to a legend. Juice’s latest album, The Reverie, is an homage to Sakaguchi, and is his own Final Fantasy. Rather than just give up, Juice decided to pour everything into The Reverie. The first-person narrative of the album can be heard either as the voice of Hironobu Sakaguchi, or of Juice Lee himself. Using all the XP he has gained in the last few years, Juice produces tracks like “Con-Soul” that act as meditations on the role that gaming has had on him and a generation. Although he has good single tracks like those on It’s Unclear at this Point, Juice Lee is at his best when he steps out of himself and does long-form storytelling for others, such as John Fong and Hironobu Sakaguchi. In other words, he draws his strength from roleplaying, allowing his characters to speak for him. It is through his reverie that Juice Lee finds hope for his final fantasy.